What? Again? Yup, consider this the early-spring edition of a twice-yearly (at least) outdoor maintenance task (a big reason folks love single-story houses). Many homeowners wait to get their gutters cleaned until they notice a problem. That is definitely not the way to go! According to Angie’s List, debris-clogged gutter can cause a leaky roof or water damage to the interior or exterior of your home. Gutters are an integral piece of your home’s well-being. They serve to control the flow of rainwater to protect your roof, walls, foundation and landscape. But when neglected, experts say gutters can turn from a necessity to a nightmare. 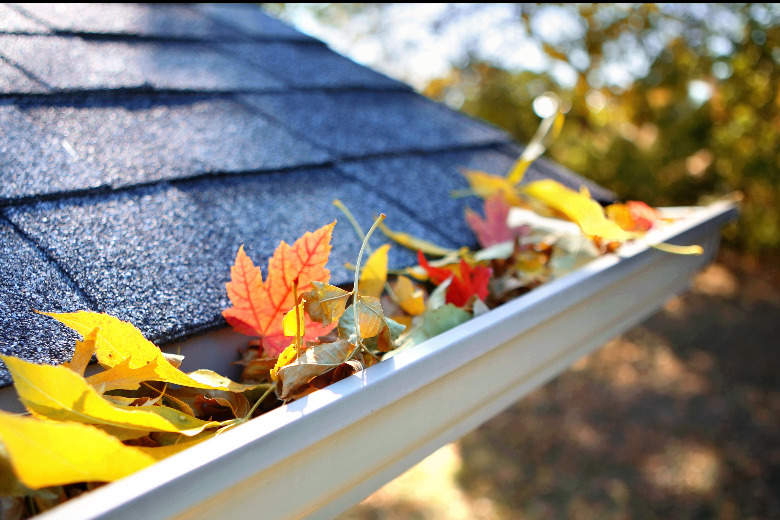 A gutter clogged with leaves, sticks and other debris can cause a leaky roof or water damage to the interior or exterior of your home. Contractors say gunked-up gutters also make nice homes for pests, rodents, mold and honeycombs from bee infestations. You can always clean your gutters yourself, but for better quality call an expert!